How do I access Ivans Exchange and Market Appetite? 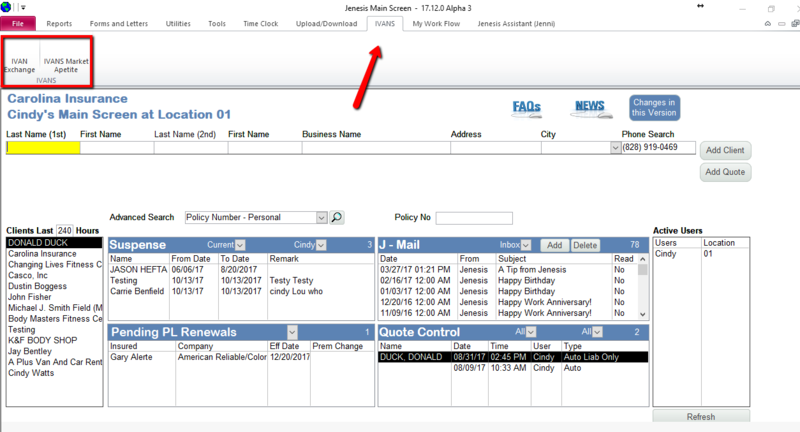 Ivans and Jenesis are the perfect combination to help you connect with your carriers. Jenesis features an Ivans button in our ribbon that allows you to connect easily.